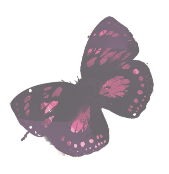 There is a new competition running every month from the Siren Stories website. You can win autographed books, merchandise and more by signing up to the Siren Stories mailing list! Siren Stories hosted a book release party for Lilly Prospero And The Magic Rabbit by J.J. Barnes and Emily The Master Enchantress by Jonathan McKinney. Siren Stories have the full photo album here. 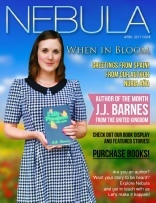 J.J. Barnes has the honour of being Author of the Month and the cover star of The Nebula Magazine! 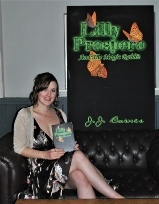 You can see the full spread on her life and work here, as well as links to her books and podcasts. J.J. Barnes and other members of the Siren Stories team were invited to the Mayor’s parlours to discuss their work. 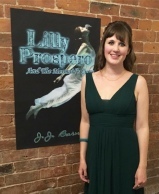 Siren Stories hosted a book release party for the second book in the Lilly Prospero Series by JJ Barnes, Lilly Prospero And The Mermaid’s Curse. 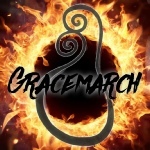 Gracemarch was written by JJ Barnes and her writing partner Jonathan McKinney. It is being produced by Artisan Films and is currently in post production. Siren Stories hosted a book release party for the first book in the Emerald Wren series by JJ Barnes, Emerald Wren And The Coven Of Seven.